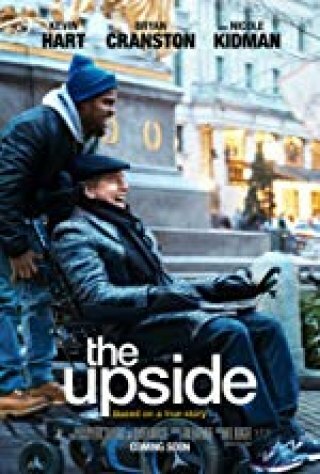 Kevin Hart, Brian Cranston, and Nicole Kidman in "The Upside" swiped the weekend's most popular film ranking from "Aquaman," which is in its fourth weekend by $19.6 to $17.3 million. "A Dog's Way Home" came in #3 with $11.3 million. The next ten included Bohemian Rhapsody , Replicas, If Beale Street Could Talk , Ralph Breaks The internet, Green Book, Second Act, A Star is Born, Favourite, Mary Queen of Scots, and Free Solo.